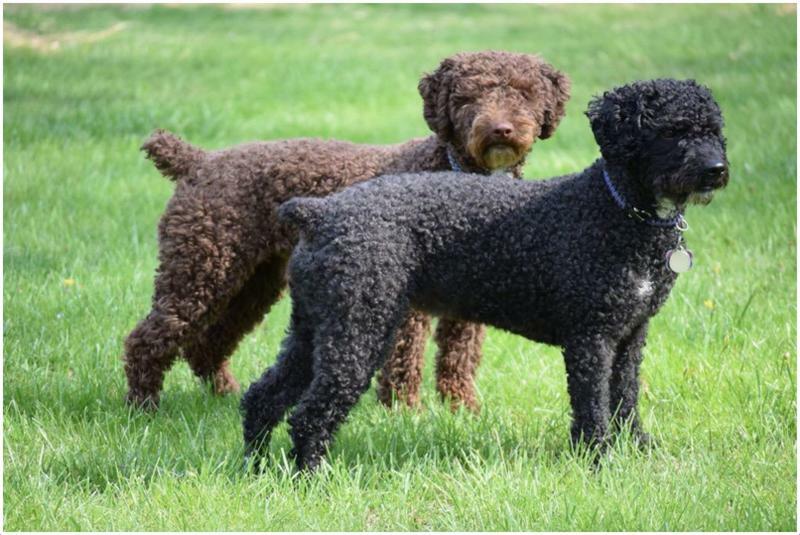 The Spanish Water Dog is a native of Spain which was basically bred as a dog who helped farmers in herding sheep or other livestock. He has also proved to be very useful as a gundog and as an assistant to fishermen. As a house pet, he is extremely energetic and playful and has high protective and territorial instincts. 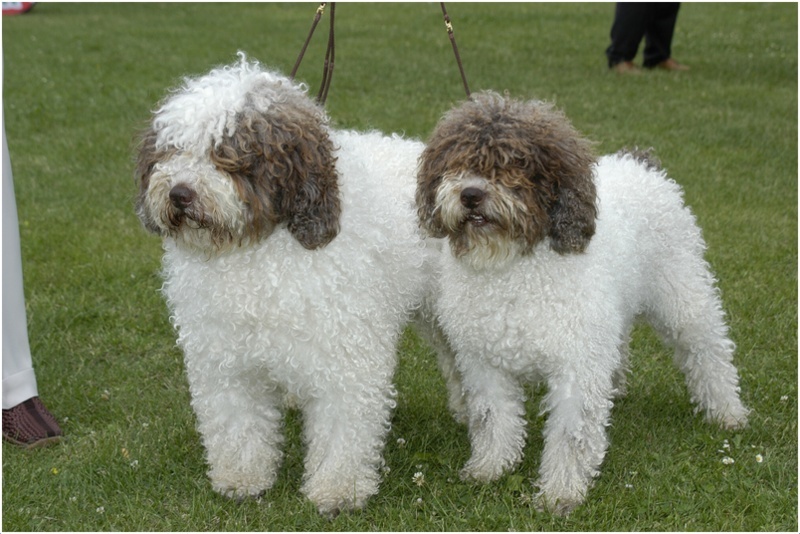 History – The Spanish Water Dog is said to originate in the southern region of Spain and was especially bred in the rural areas. 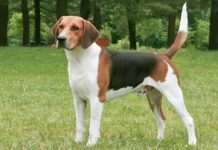 It was regarded as a multipurpose dog since because of its intelligence and easy trainability; it could be trained to be assisting in hunting, fishing or any other kind of rural activity. However, its most prominent use was for herding of livestock like sheep and goats for which it seemed to have a natural instinct. Health – This breed of dog is quite prone to eye infections and other eye related diseases like progressive retinal atrophy, cataract and cherry eye. For this reason, it is important to have regular eye check-ups for this dog. It is also prone to hip dysplasia and even Addison’s disease in rare situations. Personality – This dog is most famous for his herding or guarding instincts. 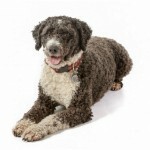 He is also a very intelligent dog and can adapt to different situations and do much different kind of tasks. The energy level of this dog is very high and he is diligent and hard working in any job he is given to do. He also proves to be a very faithful and loyal pet. 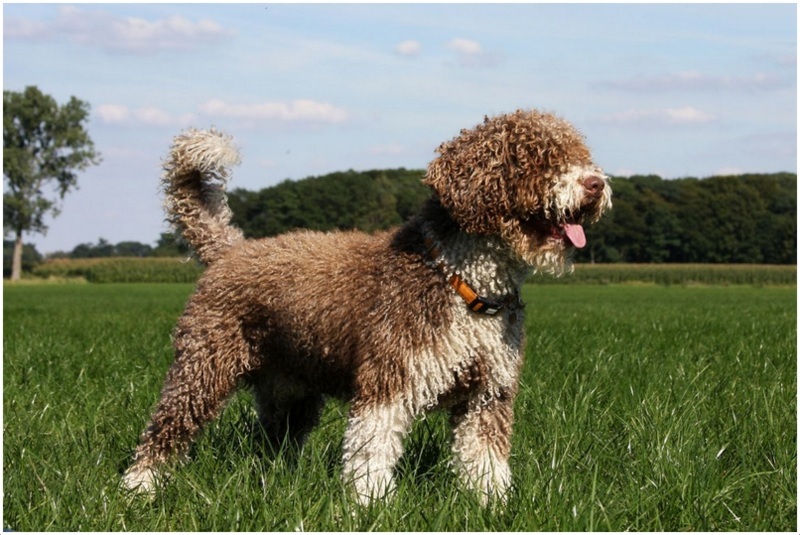 Activity Requirements – The Spanish Water Dog requires a large open space such as a field or at least a big yard to run and play in. It requires a lot of daily physical and mental exercise to keep it in good health. However, when they are puppies, they are not very energetic and tend to sleep a lot. At that time, they should not be over-taxed with exercise as it may lead to joint pains at a later stage of life. 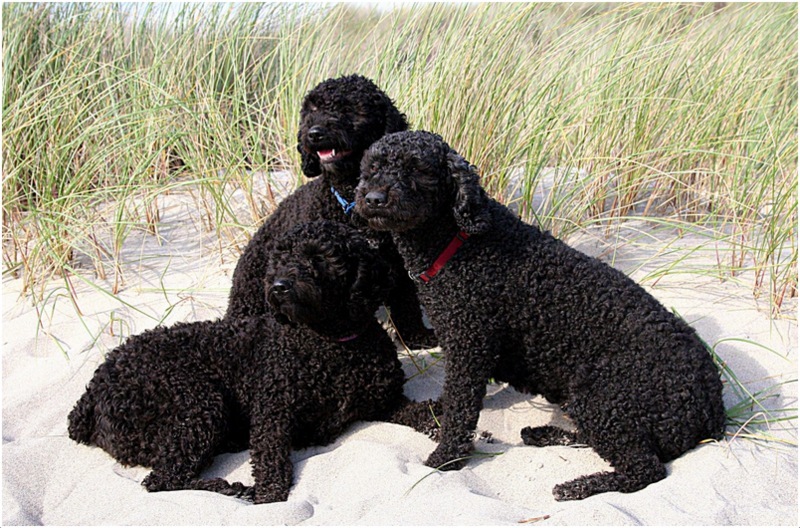 Trainability – These dogs rank quite high on trainability especially if they are trained as puppies. One thing which must be kept in mind is that the trainer should establish himself as the leader to ensure the puppy will listen to him and not try to take the lead himself. 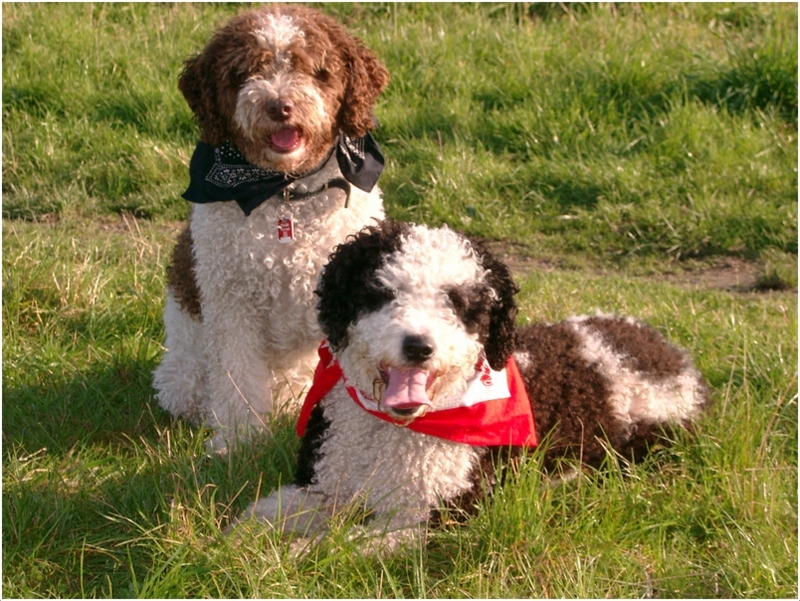 Behavioural Traits – The Spanish Water Dog is an extremely devoted and loving companion for its adopted family. He is quite confident and dignified at the same time and has all the traits of being a pack leader. Appearance – In terms of appearance, it is a medium sized dog with an athletic, robust build with a slightly elongated body. 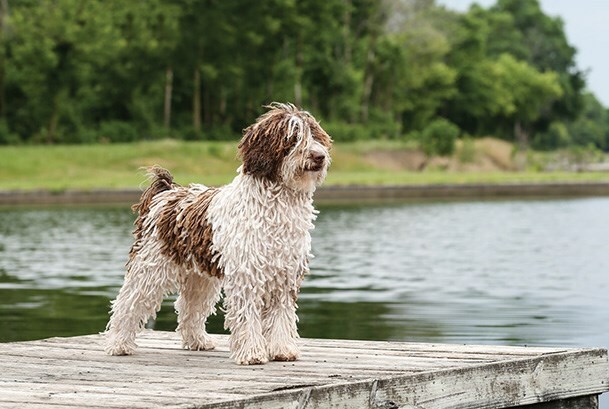 The most unique feature about this dog is its coat which is extremely curly as opposed to the usually straight or wavy hair that most dogs have. The coat also has a woolly texture. 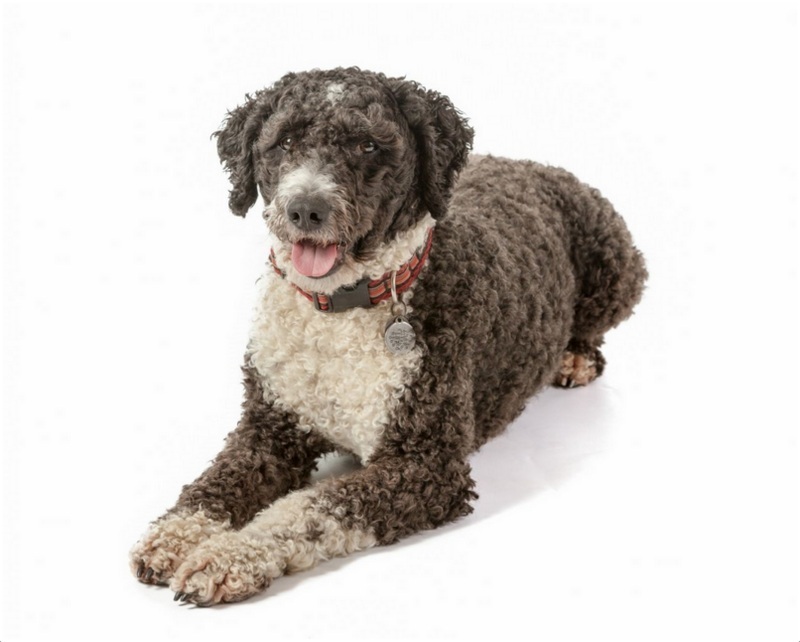 Size and Weight – The height of a Spanish Water Dog can be between 40 to 50 cms while his weight varies from 18 to 22 kgs, making it a medium sized dog. 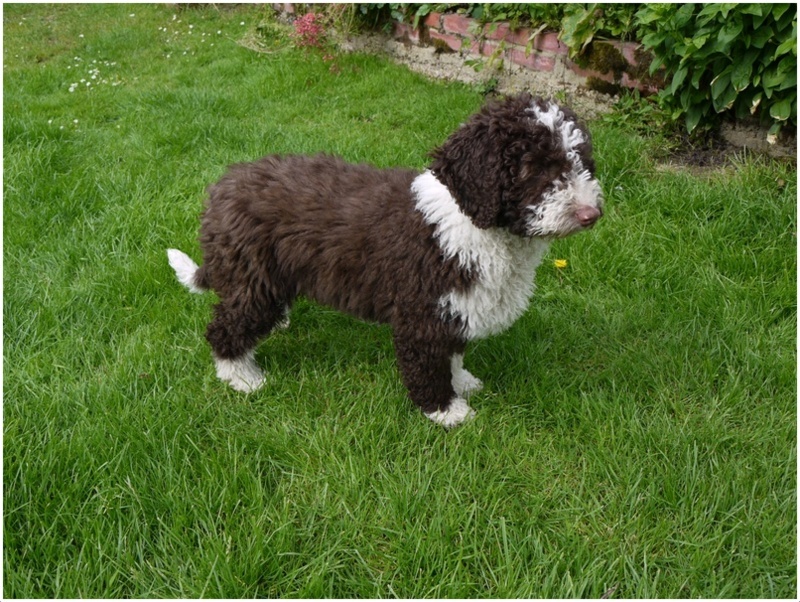 Coat and Colour – The dog comes in a variety of colours and patterns in his coat. The coat may be a single solid colour of black, brown, beige or white or it may have two colours i.e. white and brown or white and black. The coat is distinctive in its length and texture. 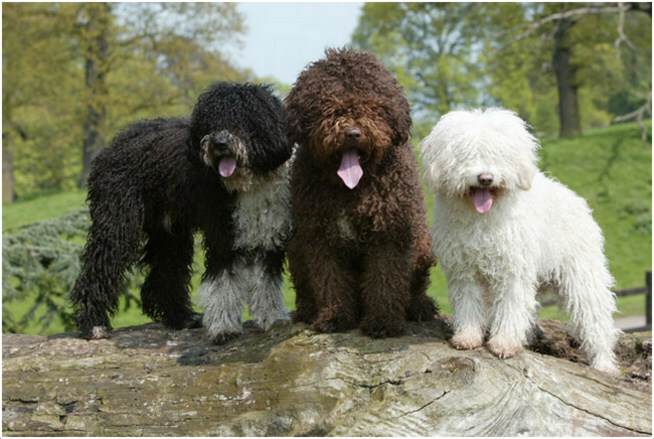 The Spanish Water Dog is one of the few dogs who do not have a straight coat, but a rather curly one which has a woolly texture. 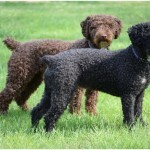 This means that the grooming of this kind of coat requires special attention. 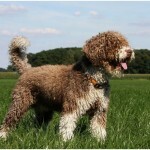 Grooming – The curly, woolly coat of a Spanish Water Dog requires more attention for grooming than other dogs. It cannot be brushed down like other dog’s hairs and instead needs to be sheared when the hair grows too long as they form cords. The shearing can be done once a year if he is a house pet or as often as required if he is a working dog as long hair can hinder him in his work. Body Type – It has a strong, robust body, and yet has an elegant air about him. 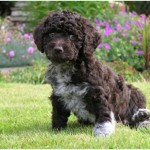 He usually has very expressive eyes whose colour matches with the colour of his coat and can be hazel, brown or black. The skin is tight fitting and supple and upper thighs are especially well muscled. He is a very versatile dog and can do a variety of work. He is a born leader and can easily take leadership of a pack. He is confident, yet elegant in the way he carries himself and does the work. It is very easy to train this dog. He is not overly friendly and is unusually reserved with strangers. He is not very child friendly. He possesses a great deal of stamina. He loves herding and may try to do that with kids or other house pets. He needs constant mental and physical exercise and stimulation. He makes an excellent guard dog due to his protective instincts. 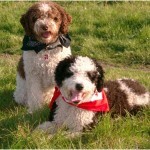 Spanish Water Dogs are so versatile that they are even used for bomb detection, water sports and therapy work. In Mexico and California, they even worked as rescue dogs after an earthquake. These dogs are very energetic and the owners must ensure they have enough space where the dog can run around and exercise. Owners should also make sure that they don’t get over excited and exercise too much while they are puppies. 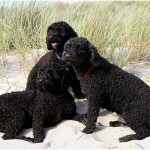 Special care should be taken regarding the grooming of their coat. A healthy diet of dry food given twice a day should be good for this dog. He especially loves chicken wings but they should always be given to him raw. 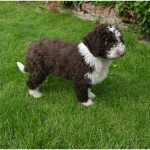 The full name of this dog is Spanish Water Dog. Other names he is known by are Perro de agua Español, Laneto, Perro Patero and Perro Rizado. Its country of origin is Spain. It is a medium sized dog. It belongs to Guard dog group of dogs. Life expectancy is 10 -14 years. The height of a male dog varies between 44 to 50 cms, while that of a female dog varies between 40 to 45 cms. 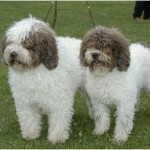 A male dog weighs roughly 18 to 22 kgs while a female dog weighs roughly 14 to 18 kgs. 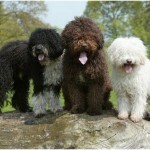 These dogs come in three colours – white, black and chestnut and may also be bicoloured. 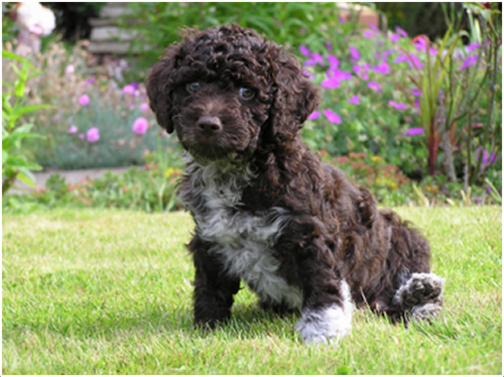 A Spanish Water Dog puppy can easily cost at least $700 to $1000 or even more. While they are puppies, these dogs are usually less active but as they grow older, they become more energetic and duration of daily sleep decreases. He is an unusually intelligent and hard-working dog who has all the traits of becoming a pack leader.